The Cape Philharmonic Orchestra is a 100-year-old classical music institution in South Africa. 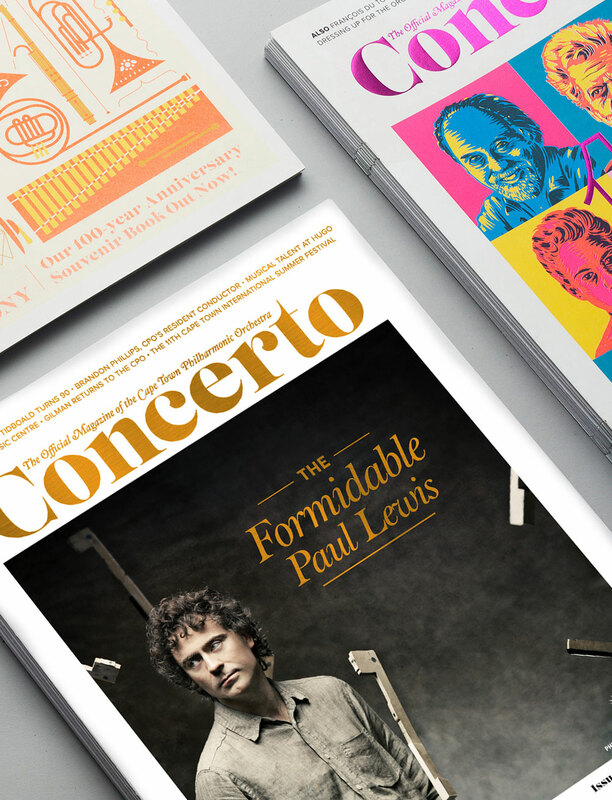 Its award-winning biannual publication, Concerto, features bold, contemporary design and original editorial that thoroughly explores the complex classical music world. Issue 9 has just been published and features the formidably talented Paul Lewis on the cover who will be performing this coming summer in Cape Town. 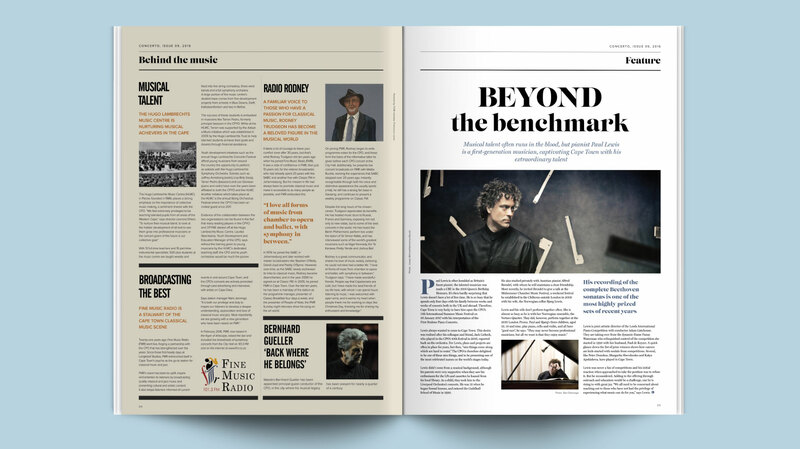 In this issue, Concerto speaks to German violinist Alexander Gilman about his unique bond with the city of Cape Town. It celebrates David Tidboald’s 90th birthday and Concerto features the musical talents of The Hugo Lambrechts Music Centre. Fine Music Radio is a stalwart of the Cape Town classical music scene and Rodney Trudgeon, a familiar and beloved voice in classical music talks to Concerto about 30 years in Fine Music Radio. 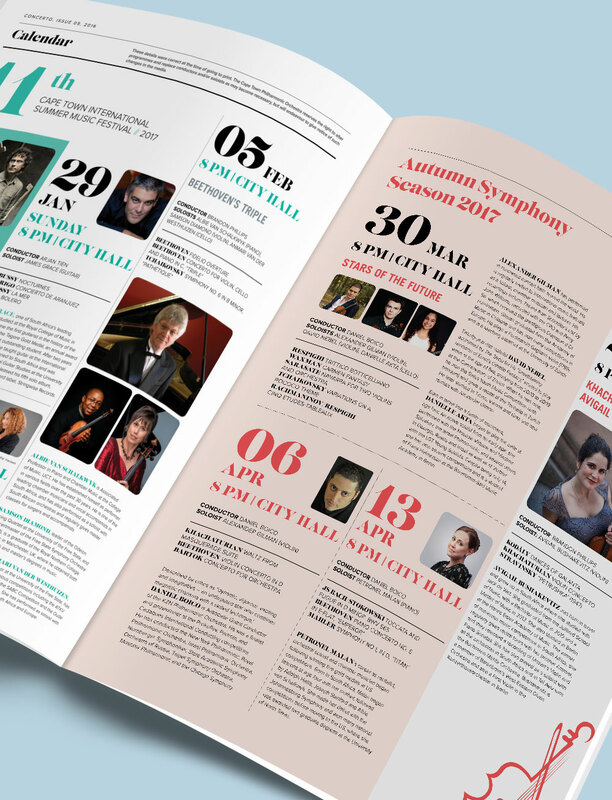 Take a look at the 11th annual Cape Town International Summer Music Festival’s 2017 calendar and book your seat today! 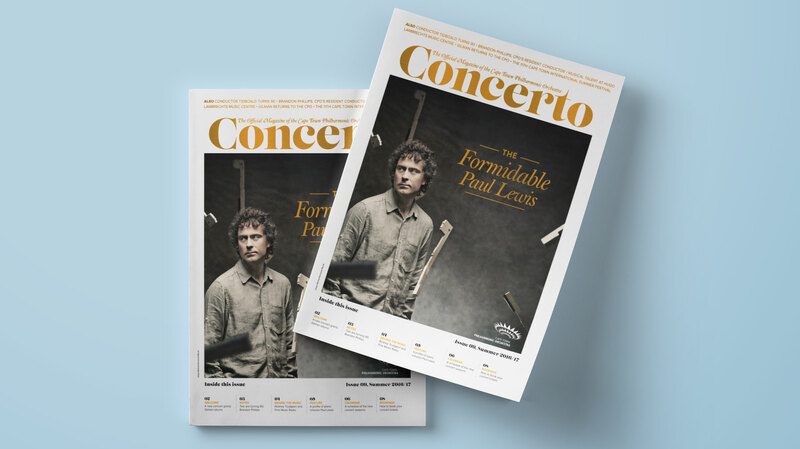 Download the latest issue of Concerto here.